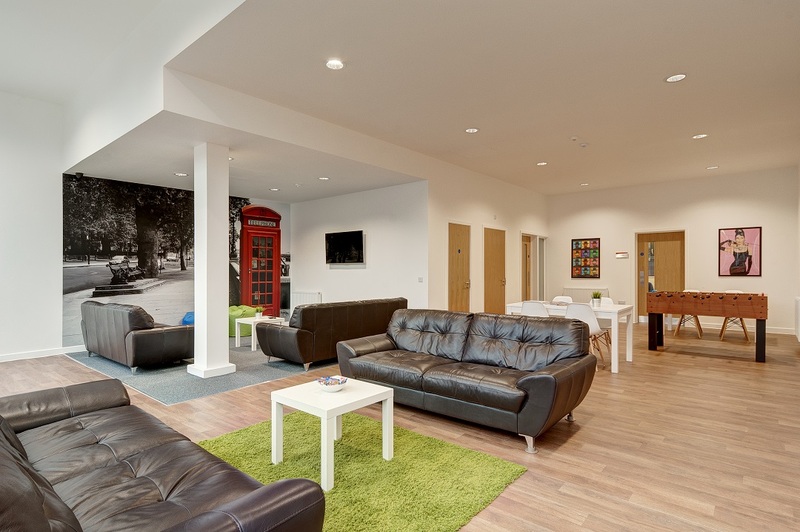 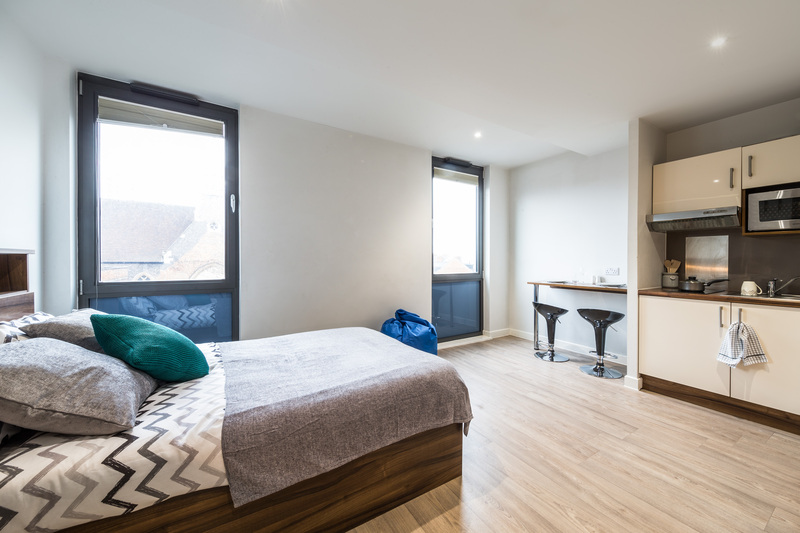 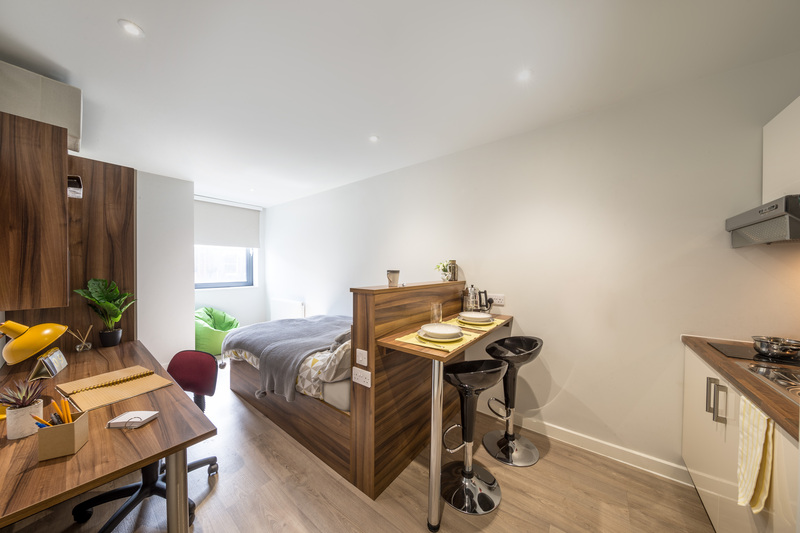 Located in the heart of Reading, Central Studios is a new bespoke student accommodation, just a short walk from the town centre. 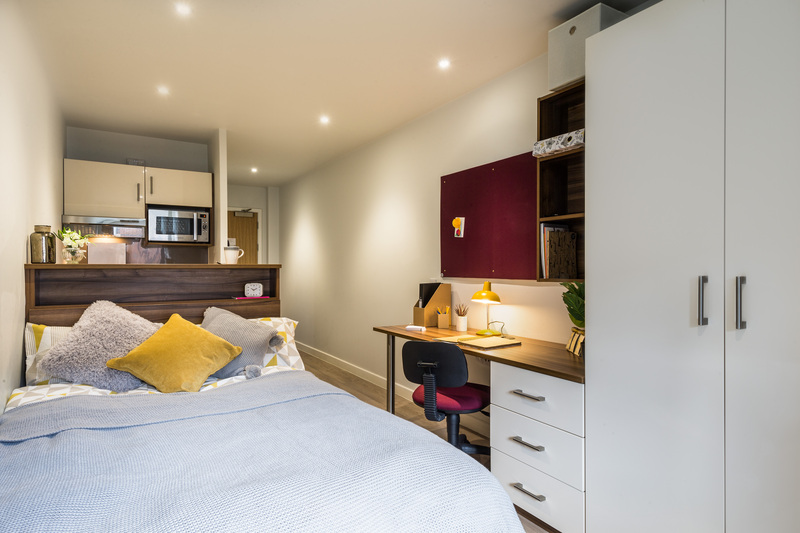 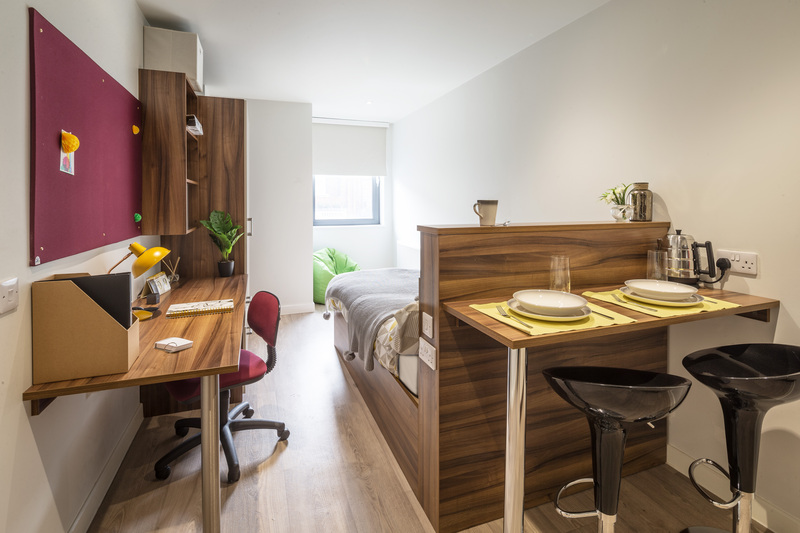 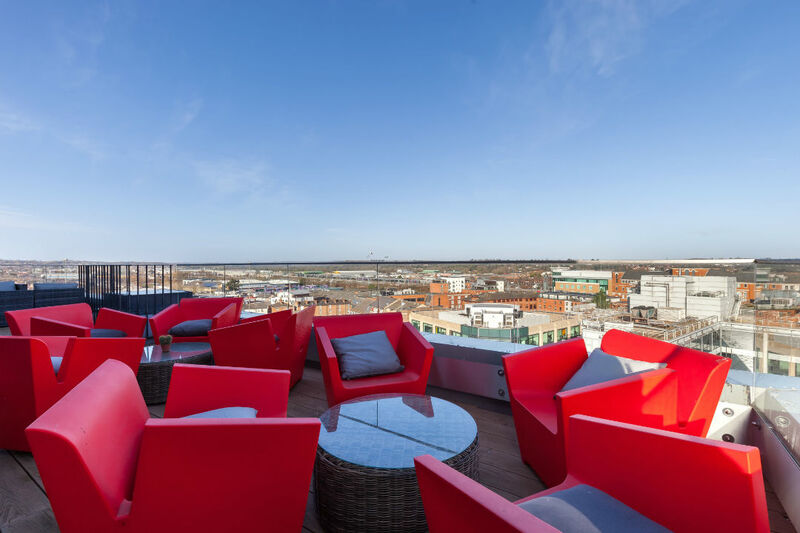 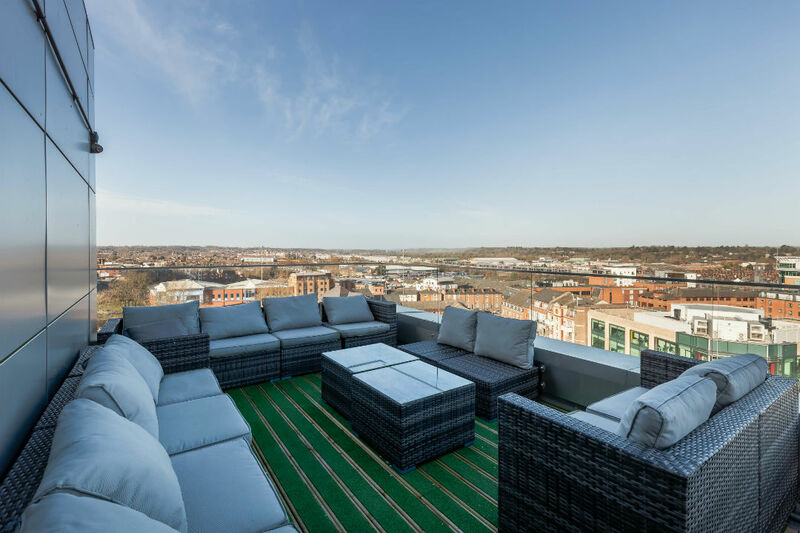 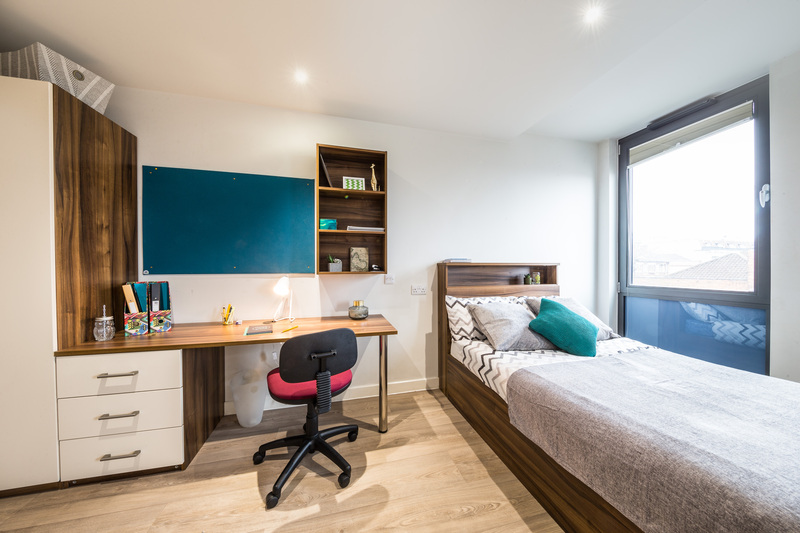 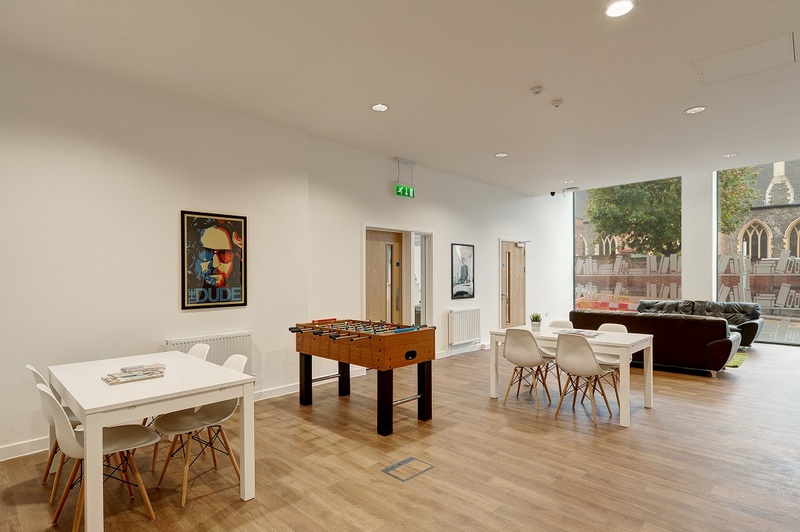 With a variety of studio rooms to live in, two rooftop terraces, and huge social areas with TVs, table football and study spaces, Central Studios is an absolutely ideal place to live as a student in Reading. 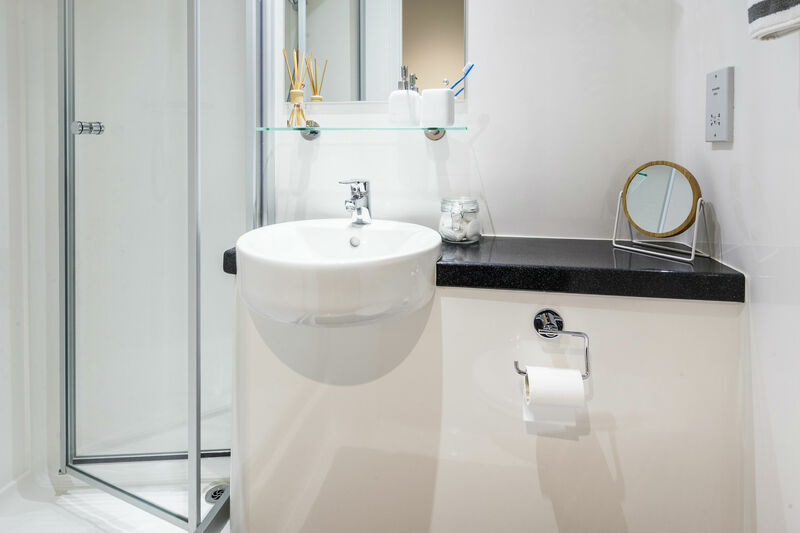 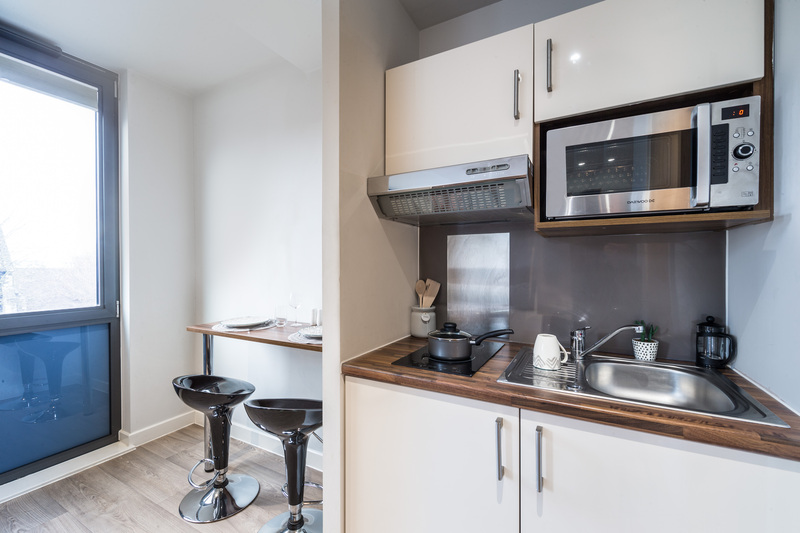 Each of our studios is furnished with a comfy bed and plenty of storage, with your own en-suite shower room and kitchenette with breakfast bar. 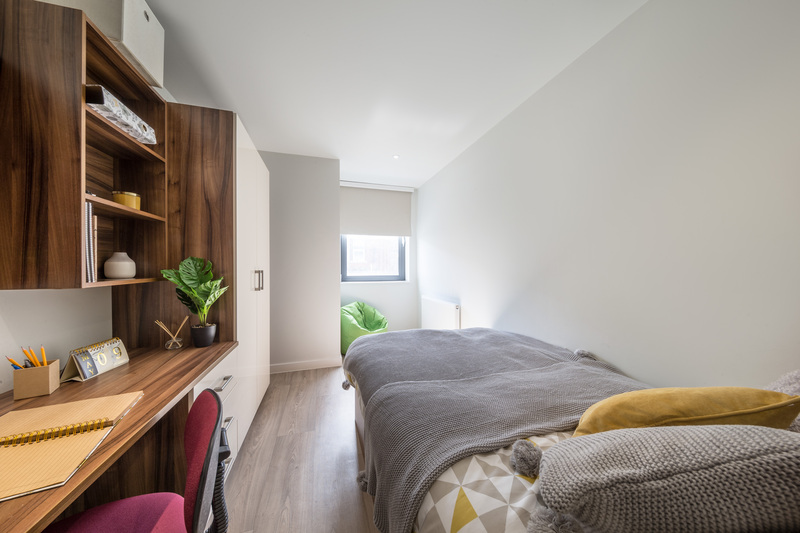 Whether you want your own cosy space with our standard studios, or want to spread out and admire the view from a 7th floor Premium Plus Studio there is something to suit all tastes. 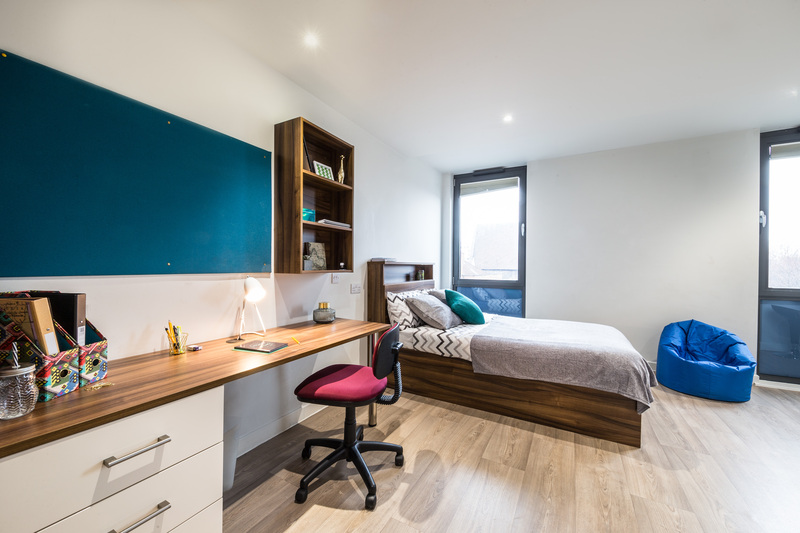 A 24/7 bus runs from your doorstep to the University of Reading, and the University of West London is only 300 meters away. 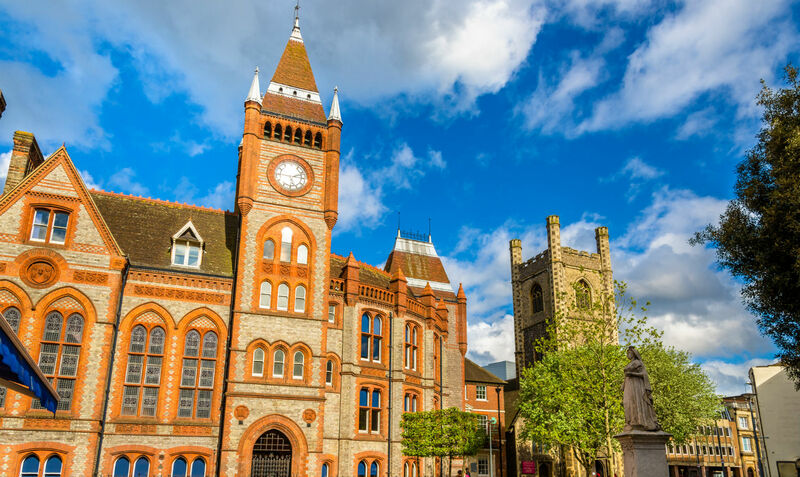 Located one block away from the pedestrianised shopping street of Broad Street, as well as surrounded by numerous cafés, restaurants and pubs you will always have something to do.